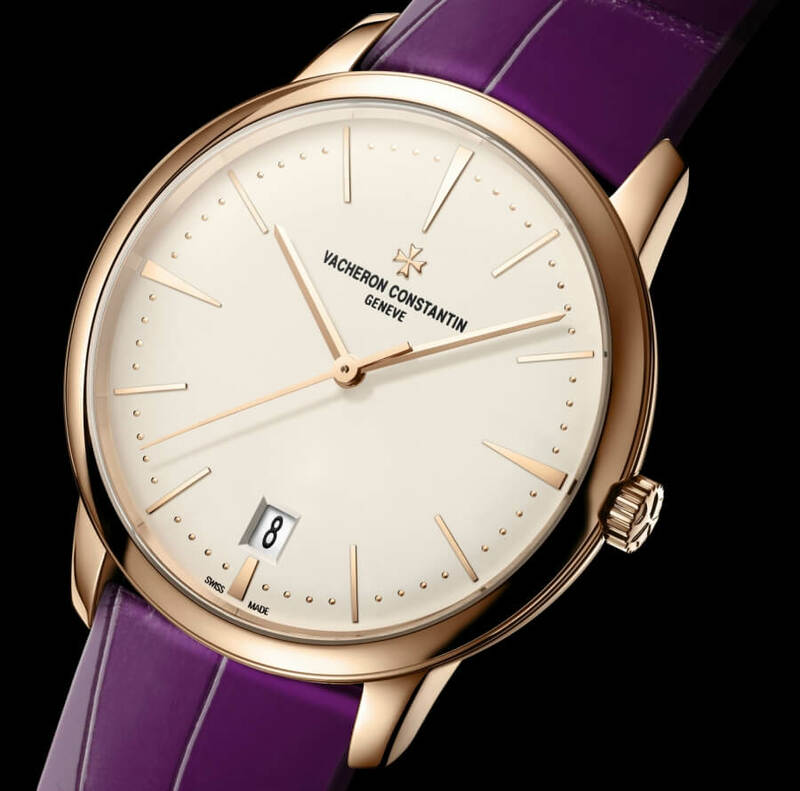 The arrival of spring is clearly visible on the new Vacheron Constantin Patrimony small model. Its 36 mm diameter makes it an ideal fit for both men's and women's wrists. This new interpretation flaunts a colourful touch with a pink gold case, fitted with a purple shiny alligator leather strap, while those with a preference for discreet elegance will opt for the dark brown alligator version. This Hallmark of Geneva certified new model features beautifully balanced, pure lines framing a slightly domed silvered opaline dial. Slender baton-type hands follow the dance of time, sweeping over tapering pink gold applied hour-markers and a "pearl" minute-track. The transparent sapphire crystal caseback provides an opportunity to admire the intricate mechanics of time adorned with distinctive Haute Horlogerie finishing. 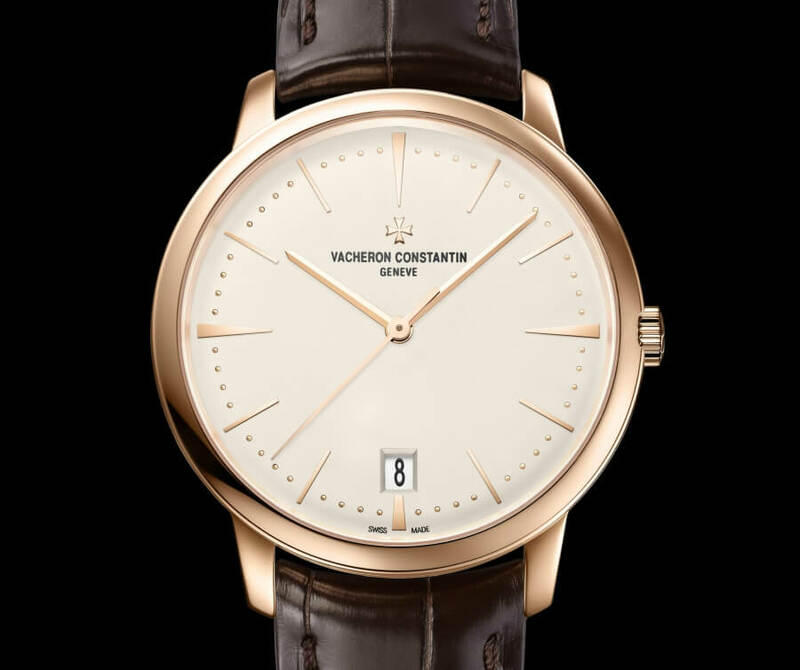 The mechanical selfwinding Caliber 2450 Q6 movement, entirely developed and manufactured by Vacheron Constantin, drives the central hours, minutes and seconds functions as well as the aperture-type date display, while ensuring a 40-hour power reserve. It also features a stop-seconds device operating during time-setting and thereby guaranteeing the precision of its adjustment. The movement has 26.2 mm diameter, 3.6 mm thick, 196 components, 27 jewels and runs at 4 Hz (28,800 vibrations/hour). A 22K gold oscillating weight adorned with a Maltese cross symbol sets the perfect finishing touch to the aesthetic appeal of this new model. 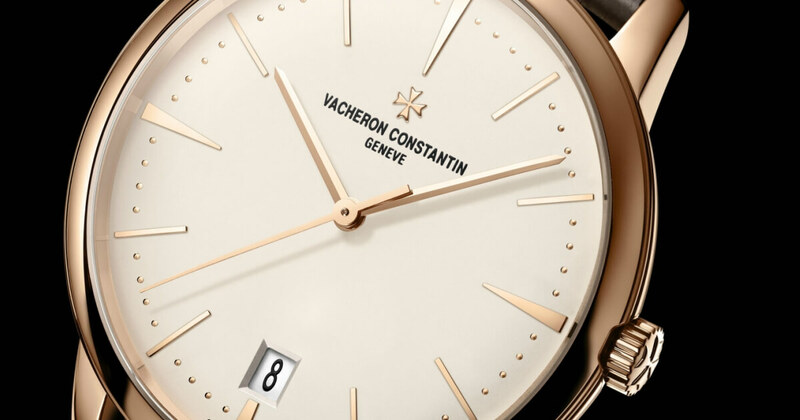 The 18K 5N pink gold case has a 36 mm diameter, 8.1 mm thick and a water-resistance tested at a pressure of 3 bar (approx. 30 meters).